Here’s what’s happening across the border: Pakistan assures help in advancing Afghan peace process after Trump’s request; Finance minister says country’s economic crisis is over. 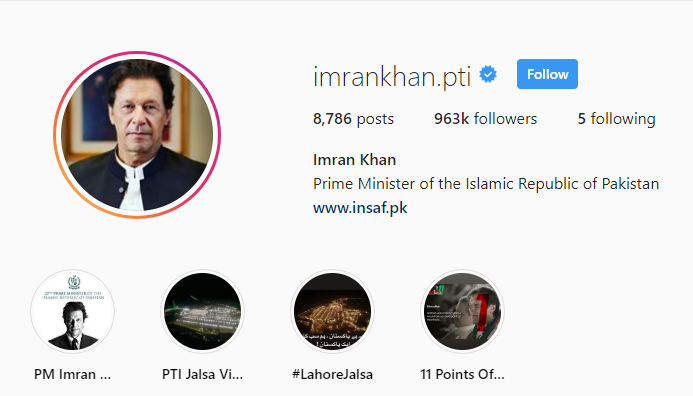 Pakistan Prime Minister Imran Khan’s Instagram page has been named as the second most active government-run account in the world by a global communications and public relations agency, reported The News International. The Burson Cohn and Wolfe (BCW) study said Khan’s government-run Instagram account has around 10 posts per day on an average. The study found the Information Department of the Government of Brunei to be the most active government-run Instagram account, carrying 17 posts every day on an average. Foreign Ministry of Kuwait has been ranked third with an average of 8 posts daily. The agency also looked at factors like number of followers of government-run Instagram pages and the amount of interaction through likes and comments on them to come up with a comprehensive assessment. Indian Prime Minister Narendra Modi is the most followed world leader on Instagram with 14.8 million followers. US President Donald Trump tops the most number of interactions list on Instagram with around 218 million interactions. Khan also boasts of millions of followers on other social media platforms like Twitter and Facebook. US defence secretary James Mattis Tuesday confirmed that President Donald Trump reached out to Pakistan Prime Minister Imran Khan to end the 17-year-long protracted war in Afghanistan, reported The Express Tribune. 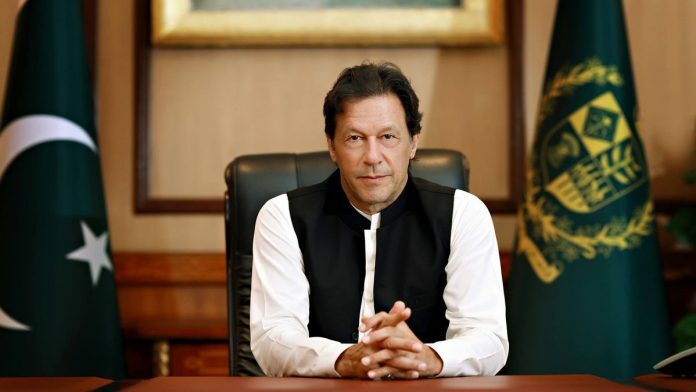 Khan in an interview with senior Pakistani journalists Monday had announced that he received a “very nice” letter from Trump the same morning asking for Pakistan’s support in stepping up the Afghan peace process. Mattis laid emphasis on how US aimed to bring on board every country concerned to work towards bringing peace in “the subcontinent and across the war” in Afghanistan. The defence secretary made his remarks as he received Indian counterpart Nirmala Sitharaman at the Pentagon. An official from the Trump administration told Reuters that Trump requested “Pakistan’s full support” in US’ endeavour to lead the Afghan peace process during veteran Afghan born-US diplomat Zalmay Khalilzad’s ongoing visit to the country. Khalilzad is scheduled to hold talks with Pakistani officials at the Foreign Office in Islamabad. He arrived in Pakistan Tuesday. Pakistan Foreign Office spokesperson Mohammad Faisal in a tweet Tuesday said that Khalilzad “reiterated President Trump’s desire to seek Pakistan’s cooperation for peace and stability in Afghanistan”, reported The Express Tribune. Amid continuing devaluation of the Pakistani rupee against the US dollar and volatility in its stock markets, Finance Minister Asad Umar Tuesday claimed that the government has “overcome the economic crisis”, reported Pakistan Today. Umar’s assertion came a day after the Pakistan Stock Exchange (PSX) plunged 1000 points in a session against the recent depreciation of the rupee. “The financing gap for the current fiscal year has been plugged,” Umar said, rejecting media reports highlighting the economic crisis in the country. He made the remarks while giving a speech at the inauguration ceremony of the 11th South Asia Economic Summit in Islamabad. Umar also warned that “spreading rumours about the national economy would not do any good to the country” and assured that results of the government’s sound economic policies would be visible soon. Former Pakistan president and Pakistan People’s Party (PPP) chairman Asif Ali Zardari Tuesday said if the current Imran Khan-led government faces a crisis, only those who brought it to power will save it, not the opposition, reported The Pak Observer. Addressing the media in Tando Allahyar, Zardari said the Pakistan Tehreek-e-Insaf (PTI) government may get away with putting the opposition in prison, but will be helpless when the next Prime Minister comes to power and imprisons Imran Khan. “Imran Khan may put the opposition in jail but Khan’s turn would also come. As the saying goes, ‘as you sow, so shall you reap’,” said Zardari. Taking a jibe at Khan’s “buy chicken and sell their eggs” statement, Zardari said that the PTI is doing everything it can to “derail the system”. “We [PPP] will strengthen democracy so no one else can get a chance. The worst democracy is better than dictatorship and owing to this mindset we are sitting in the Parliament today so no one can say that country doesn’t function,” he added.